REVIEW – As a self-confessed gadget nerd, I am always looking for the unique gadget that provides a balance between technology and usefulness. Sometimes it can just be a gimmick that I like, and if that gimmick lets me do something automated and techie, then I am good. 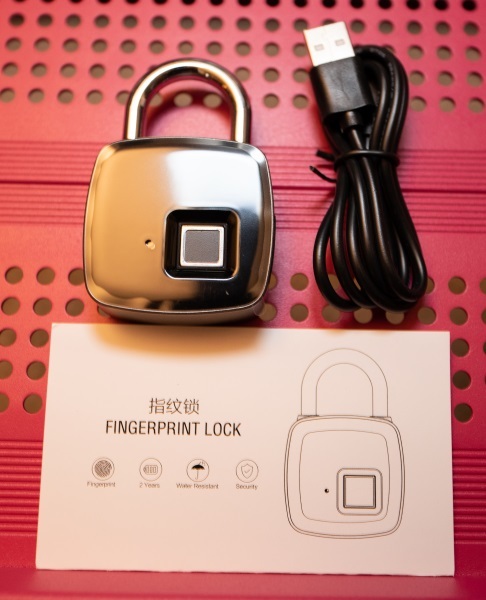 For this review, I am testing the Brando Smart Fingerprint Padlock. Let’s see if I get excited. The Brando Smart Fingerprint Padlock is a biometric lock that eliminates the need for using a key to gain access. 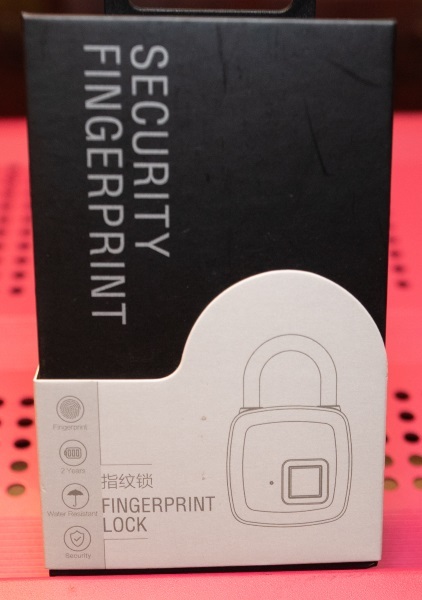 Your fingerprint is your password via the fingerprint ID function. On the front of the lock, there is a black overall finish that you can see is a magnet for fingerprints. On the lower half of the lock there is a fingerprint biometric pad and to the left of it is a LED that provides access indication/confirmation. 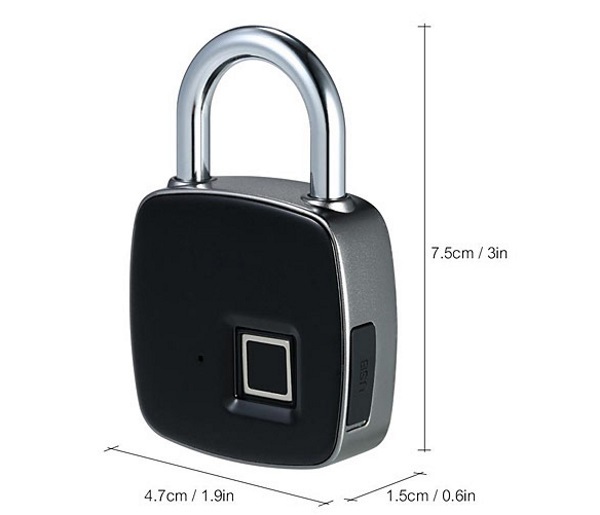 On one side of the padlock, there is a USB charging port with a rubber waterproof cover. 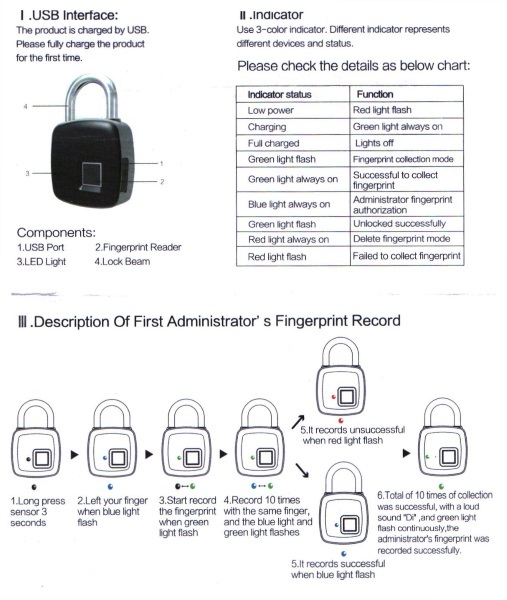 Biometric access for this lock is set up with an administrator set of fingerprints and up to 10 user fingerprints. See the setup instructions below. 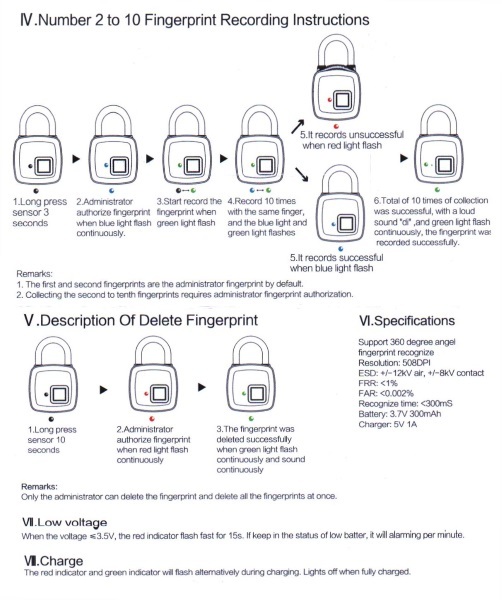 Once you follow the instructions, setup is very easy and the biometric access has worked as indicated. I have been using it every day a few times daily for about almost one month and I have not had to recharge so far. I will admit that I do not have it attached to anything that I need critical access to because I am unable to get over my fear of some electronic failure and no manual override key. I have always been intrigued by biometric access for many types of devices but I have always been a bit apprehensive to trust the safekeeping of anything critical to such devices. My concerns have included possible failures of the biometric functions at a critical time and the vulnerabilities associated with the abilities of hackers or such relevant criminal types if the device is connected online. 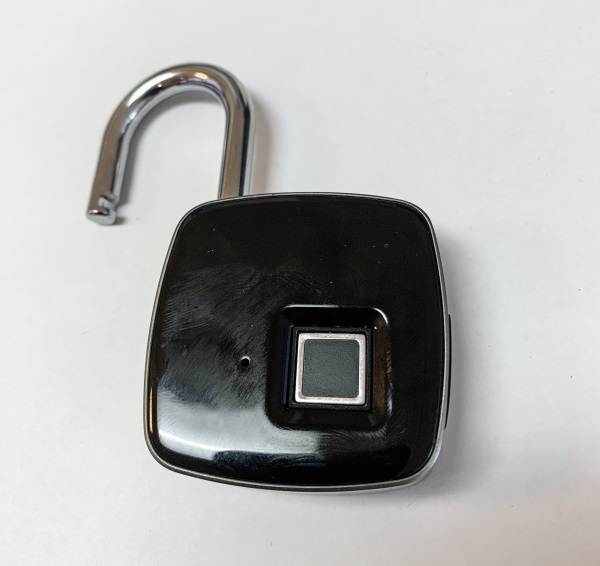 In the case of this lock, there is the additional concern of no mechanical type override key, with the override function also being electronic. While I really like the build quality, and while it has functioned pretty well even considering the times when repetition is needed to open the lock, my personal fear of being locked out at a critical time, makes me want to overlook the positives and pass on this one. Wow!! Thank you for your input and bringing attention to this. Just another reason to pass on this one.